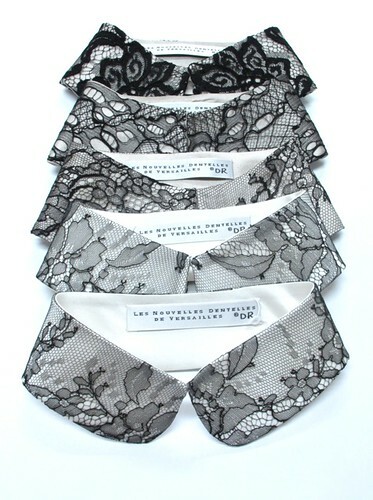 Today I want to talk about one of the finest fabrics that defines so well the French savoir-faire: the lace. Once a fabric that almost all French ladies had in their wardrobe, today only the prerogative of princesses and heiresses. 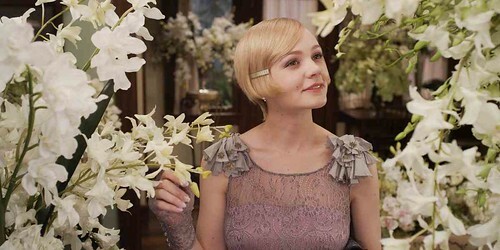 or with the Oscar-winning costumes from the film “The Great Gatsby”. 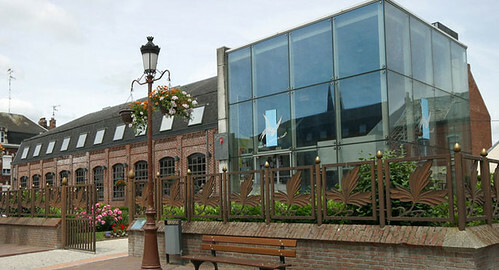 In Caudry, town of 14,000 inhabitants of the Northern Department, the Lace Museum tells the story of weavers whose savoir-faire remained intact for several generations. I cannot give you a highly technical report, as I am myself a little lost in the terminology, but the museum has the necessary documentation if you want to immerse yourself in this subject. 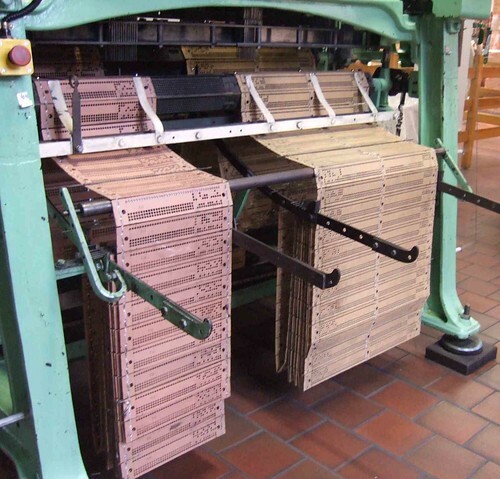 These punch cards were then read by special machines, the Jacquard looms, which were driving the lace looms by forming and tightening hundreds of knots simultaneously to holes on the punched cards. 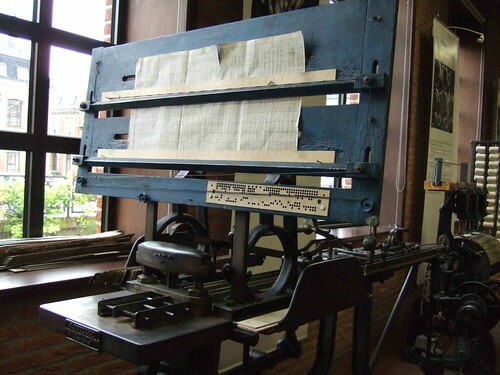 Today the pattern is directly drawn on the computer and technical map files are then loaded onto a computerized Jacquard loom. 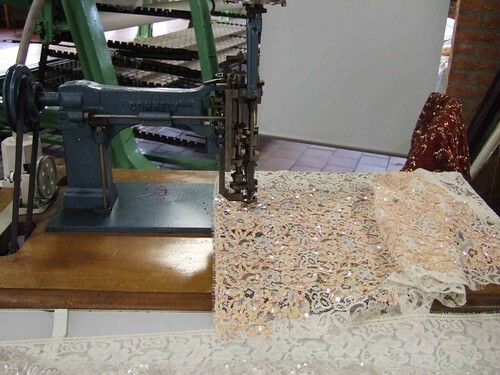 Then each thread is placed in the lace loom manually. For those who find threading the serger complicated, you can imagine what makes to thread 10,000 bobbins in their right place. 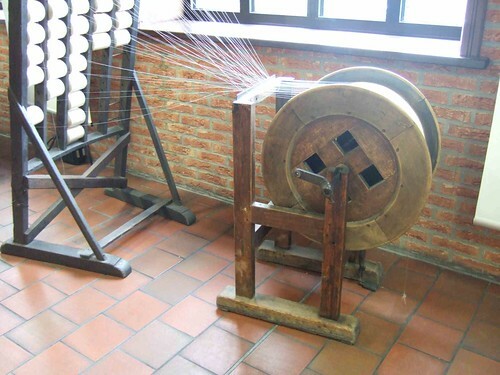 For those who land on the subject, like me, the traditional lace loom is a Leavers loom. 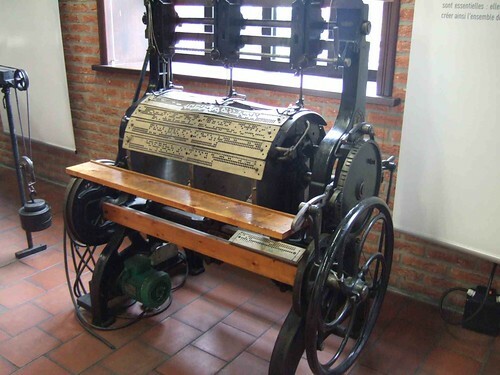 Mr Leavers had the ingenious idea to add the Jacquard system to a traditional tulle loom to create a more productive loom allowing an infinite variety of patterns for lace. By trying to circumvent a custom restriction, this English invention arrived illegally in spare parts on the other side of the Channel in the Calais and Caudry region. French weavers made it their trademark. 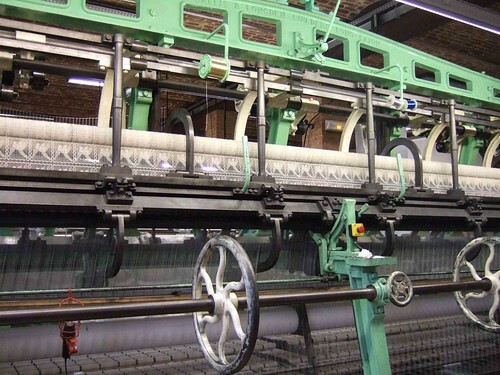 In Caudry, the lace is still manufactured on the original Leavers looms. Here is a Leavers loom weighting 16 tonnes. Too bad I can not transcribe here its deafening noise which is due to thousands of metal discs intersecting each others when forming knots. These famous knots that are the signature of a traditional mechanical lace and prevent lace from ripping off when cutted. After a few minutes of demonstration and some broken ears, here are 10 centimeters of fine lace coming out of the machine. As you can see, the same pattern was repeated twenty times on the same line. The lace looms in Caudry enable wide lace, which makes it interesting for designing dresses. The Calais lace is a narrow one, more suitable for underwear. There are several steps before the final product: detecting and mending the defects, washing and coloring the lace and then cutting it out. 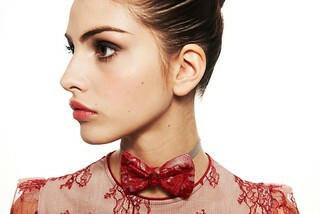 The lace can then be embroidered, printed, pleated or polished. 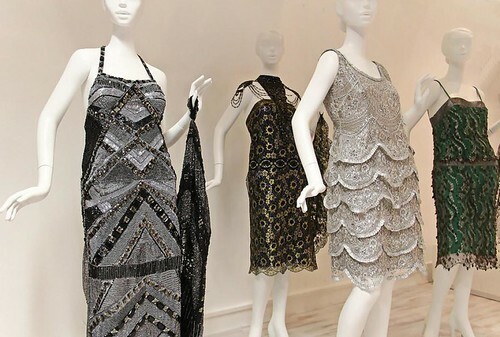 At the end of this visit, you can find an exhibition showing the original dresses from the film “The Great Gatsby” and a couple of Roaring Twenties dresses owned by the Museum. But let’s leave the rainy North to return to Paris, still under the rain. 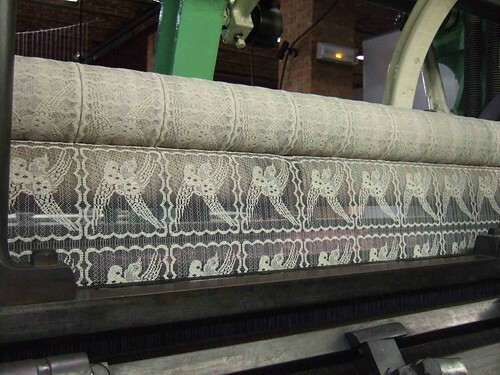 A few weeks ago, during an event organized by the Maison du Savoir-Faire et Creation, I met the representatives of Caudry and Calais lace producers, and I discovered the latest technological developments in the manufacture of lace. 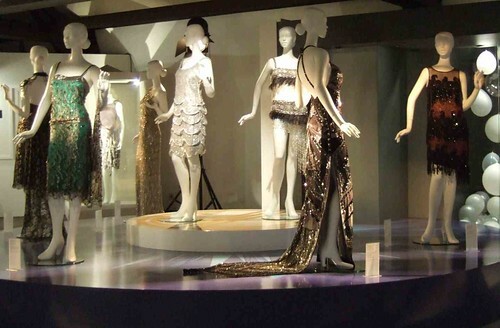 I could see and touch samples of 3D, engraved, printed, encapsulated, heat or light sensitive lace. The event was also featuring this wonderful mink and crystal encrusted lace dress designed by On Aura Tout Vu label. 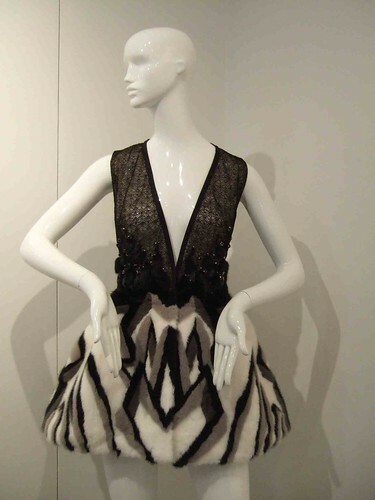 During the same event, I met Darja Richter, a German designer in love with France and its lace. 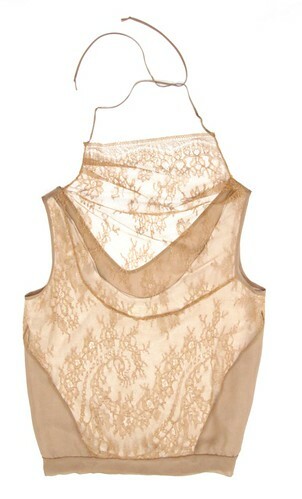 Her lace creations are so timeless and prove that authentic lace can be back in modern closets. Well, after all this talk about lace, I feel ready to refashion a vintage lace dress. If only I can find it somewhere. This entry was posted in Moods and tagged lace, manufacturing.